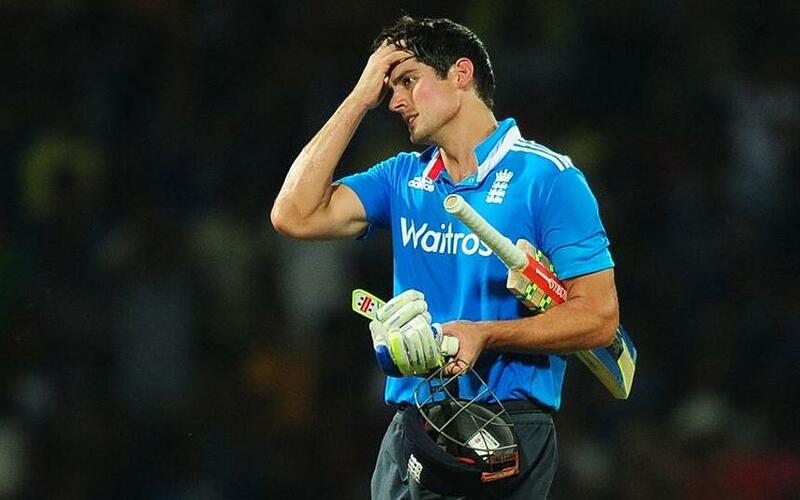 England batsman Alastair Cook has been dropped from captaining The Three Lions for the foreseeable future, and Eoin Morgan has stepped in to retrieve the role. Cook's men were in a poor run of form leading up to the Essex batsman's dismal as captain ,and its no surprise The Three Lions have acted upon this decision leading up to the World Cup. A director's meeting that took place on Friday decided the future of Cook and obviously the England team do not believe the 29-year old is the right man to lead his team to success. Cook's men slumped to a 5-2 defeat to Sri Lanka in the World Cup warm up matches, thus leading to Essex's batsman being dismissed as captain. Eoin Morgan is believed to replace Cook which makes a whole lot of sense considering the Irishman's style of play is designed for ODI matches, and has a great knowledge of the game to lead England forward. Morgan, who is also in a poor run of form, only averaging 25.45 runs in his last 23 matches is the man who will most likely lead The Three Lions into the awe-inspiring Cricket World Cup next year.